Parkway 25, a new luxury apartment building near Minneapolis, is situated in St. Louis Park, a bustling area filled with great places to shop, experience and to grab a bite. Whether you’re looking for a quick grab-and-go lunch, delectable baked goods or a sit-down experience, SLP has got you covered. In today’s post, we’ll run down a few of our favorites, and leave the eating up to you! 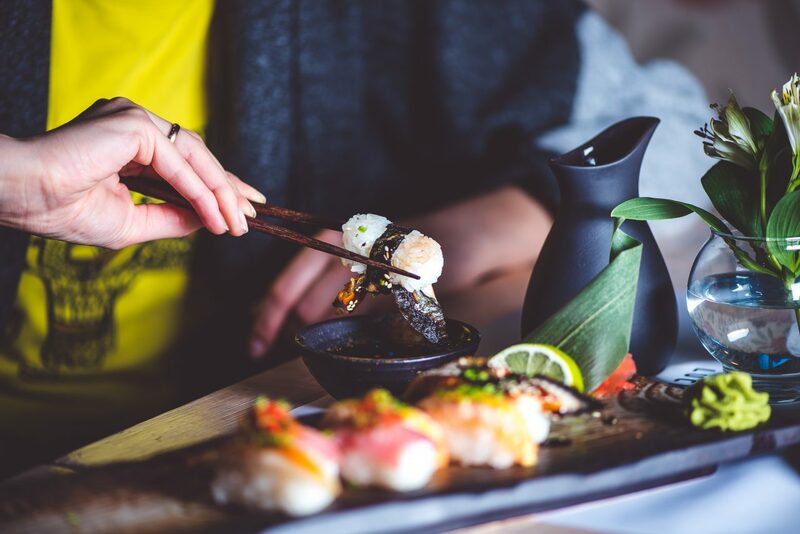 If you’re a fan of sushi, you’ll easily become a regular at Wakame. This Excelsior Blvd. gem offers a plethora of specialty rolls and fresh sushi as well as an extended menu of Asian entrees, appetizers, soups and more. You’ll love to belly up to the bar here too — they offer great happy hour deals on food and drinks twice daily from 3pm-6pm and 9pm-Midnight! If you haven’t had a Rustica baguette, you really haven’t lived. A perfect blend of crusty and chewy, it’s no wonder their baguettes are in demand all over the city. Not to say everything else at Rustica isn’t something to write home about — it most definitely is. Stop in Saturday morning for a cup of coffee and an ooey-gooey chunk of caramel monkey bread, or pick up a beautiful variety of seasonal desserts to impress guests at your next dinner party. A contemporary take on the classic Jewish deli, Prime is an eclectic spot that serves everything from potato knishes to juicy burgers. Try the famous Delmonico steak for a protein rush or get nostalgic with pastrami piled high on rye. Prime serves a variety of both traditional Jewish and American fare that will please just about anyone. Not to mention, everything on the menu is kosher! Go for a stroll around the lake and finish it off with a stop at Yogurt Lab. This fro-yo shop allows you to customize your treat, with dozens of flavors and toppings to choose from, making building your dessert is just as fun as eating it! Featuring a fresh daily frozen yogurt recipe made with organic yogurt and hormone-free milk, you can try flavors such as pomegranate, avocado, red hots, cotton candy, salted caramel and many, many more. For more information on places to eat in the neighborhood, as well as shopping, recreation, entertainment and more click HERE.